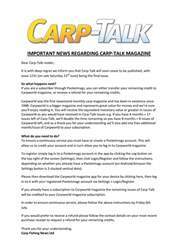 This week’s issue of Carp-Talk (issue 1013) is available to download now! 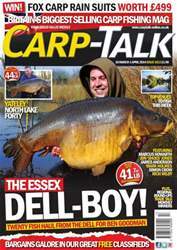 There is a plethora of forties in the mag this week, as well as a fifty in the shape of Elphicks’ Big Girl at 58½lb. 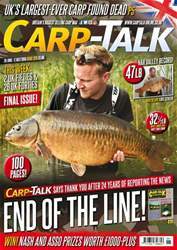 The winners of the Carp-Talk awards are revealed, we look back at the Carpin’ On show at Five Lakes, and Marcus Howarth talks snag fishing. 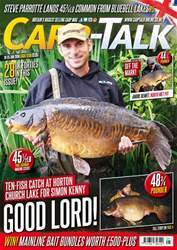 Jon ‘Shoes’ Jones reveals a simple rig for pressured waters, and Mark Holmes presents the second part of his ‘Carp Fishing without a Rod’ feature. 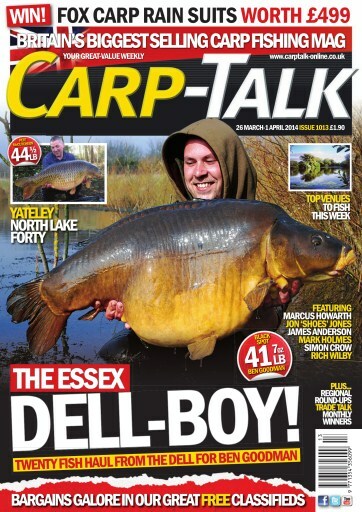 Ben Wales reviews products from Taska, Wychwood, Aqua, CC Moore, Mainline, Nash, Cygnet and Penn in ‘Trade Talk’, five more lakes go under the spotlight in ‘Where to Fish’, and Rich Wilby reveals several successful tactics and tips for catching spring carp. We have got the latest from the Fox Mainline Carp Angler of the Year competition, a £499 Fox Rain Suit giveaway, and Wychwood Rising Stars.